Our v2018.1 WPF, Universal Windows, and Silverlight controls have all been updated with new maintenance releases that are now ready for download. There were a large number of minor enhancements and bug fixes made across various products. For the last three weeks or so of SyntaxEditor vNext development, we've been working on performance profiling and printing support. As part of vNext, we are doing our best to speed up the editor even more than before. The Universal Windows version of SyntaxEditor is many times faster than the current UWP SyntaxEditor. A large part of that is due to the newer way we measure and render the control in vNext, which is significantly faster than what we were able to do in the past. Other tunings also help. Let's examine some performance results. Using page-down to scroll through a large document, we're seeing a 3.5x speed increase in the vNext UWP SyntaxEditor! UWP SyntaxEditor speed increases when dragging the scrollbar thumb are even more evident. There is a bit of a lag in the current UWP SyntaxEditor, whereas in the vNext UWP SyntaxEditor, the display is instant and tracks with the dragged thumb perfectly. Running the same page-down scrolling test in WinForms, we're seeing a 20% improvement in speed over the older version. The WPF version is seeing a slight improvement in scrolling speed over before as well, although it has always scrolled extremely fast. We are continuing to work on tuning the API to maximize performance when scrolling and editing. 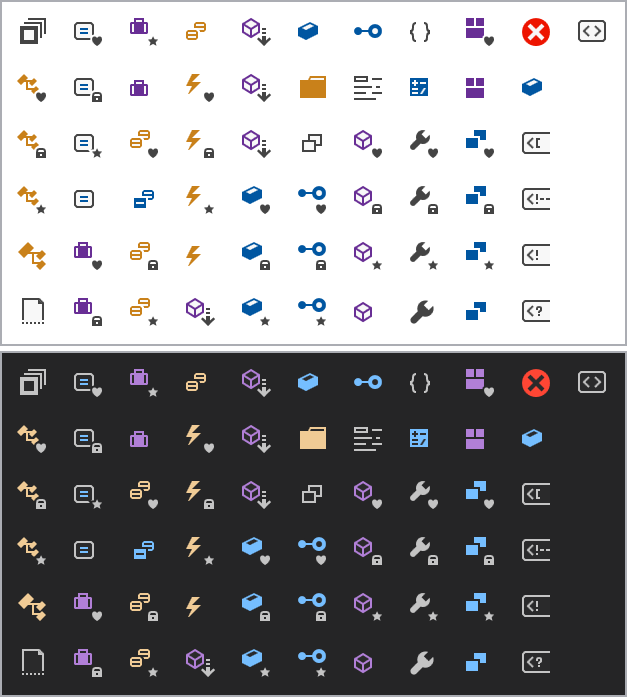 Printing support has been added back into vNext for the WPF and WinForms versions. We are currently working on the UWP version's printing support. These features allow you to easily print out a document to paper, or a PDF file using the "Microsoft Print to PDF" virtual printer found in Windows 10. We are going to wrap up UWP printing support next, and then will move onto a few other areas left to port over to the API. Large remaining areas include searching and IntelliPrompt feature APIs. 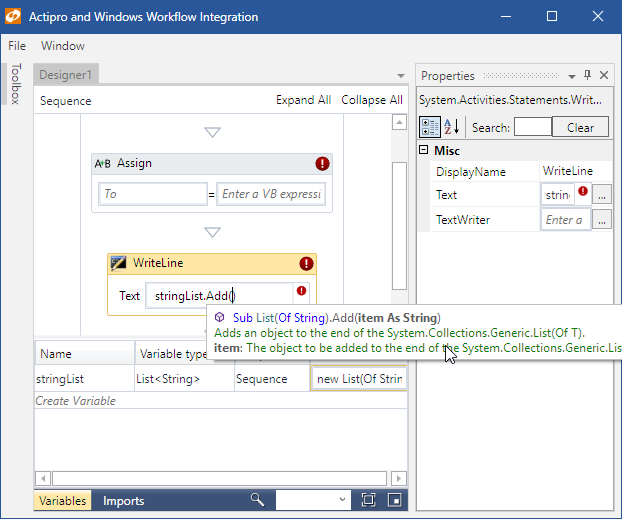 As described in recent blog posts, we've been working on adding multiple caret/selection support to SyntaxEditor in vNext. In this post, I'd like to show off a neat new feature related to copying/pasting text when there are multiple selections. At the start of this animation, I do a line copy, which occurs when there is no selection and you press Ctrl+C. Then I paste that line in three times. Next I select the text "Actipro," then Ctrl+select the text "SyntaxEditor," and finally Ctrl+select the text "vNext." The Ctrl+selections have allowed me to create three selections. At this point I could type and it would replace each of those selections with what I typed. Instead, I'm going to press Ctrl+C again to copy the selected text. In the animation, the next thing I do is put a caret in each of the three empty strings by Ctrl+clicking in them. We just added some new vNext logic that will compare the number of selections with the number of lines in the pasted text. When they are equal, as they are in this demo, each line in the pasted text will get pasted into the related selection. The end result is you can see how each of the three selections I originally copied end up in a separate target selection. Multiple caret/selection support touches many portions of the editor and we are continuing to work through updating all feature areas to support it.